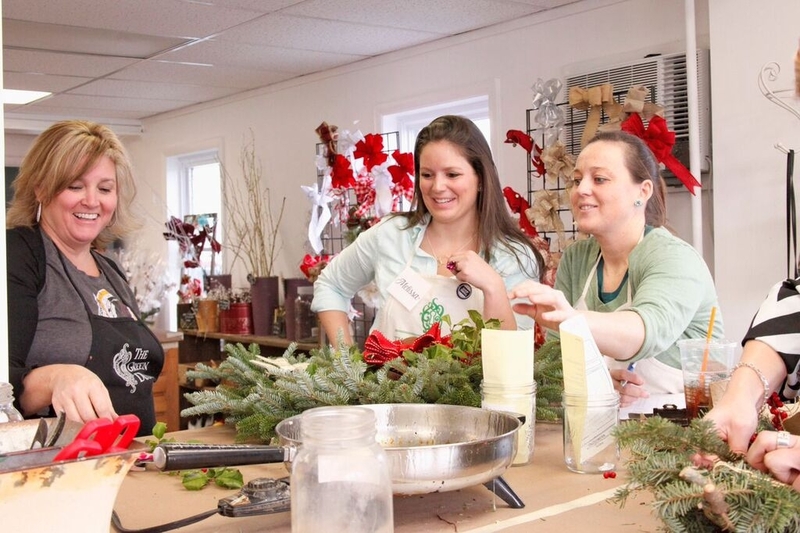 Our second year of growing, gathering and making some of the best live wreaths and custom green & holly arrangements was all designed under one roof in Harford County… ours! You name it, we had it! From American Holly to Fernleaf Cypress and Elk Horn Cedar to Winterberry; just to name a few, we had wheelbarrows, milk crates and wire baskets overflowing with gorgeous fresh cut live greens and berries of all varieties! Choosing their favorite handmade bows, glitter sticks, monogram letters and some other holiday flare, our customers created the most stunning wreaths on the block! Heck, why not grab a piece of slate a piece of chalk and scribble Happy Holidays on it for the finishing touch! And how can I forget about the magnolia leaves and pinecones being carefully placed in just the right spot into each masterpiece! 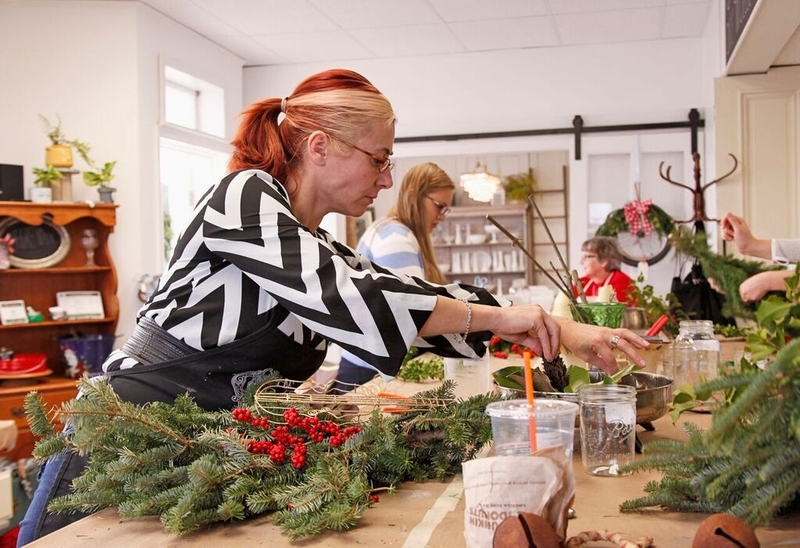 Just the smell of the fresh greens and the sound of laughter and creativity in our DIY workshop studio was enough to get you in the holiday spirit as we danced around the room choosing each piece of décor with oh so much thought. 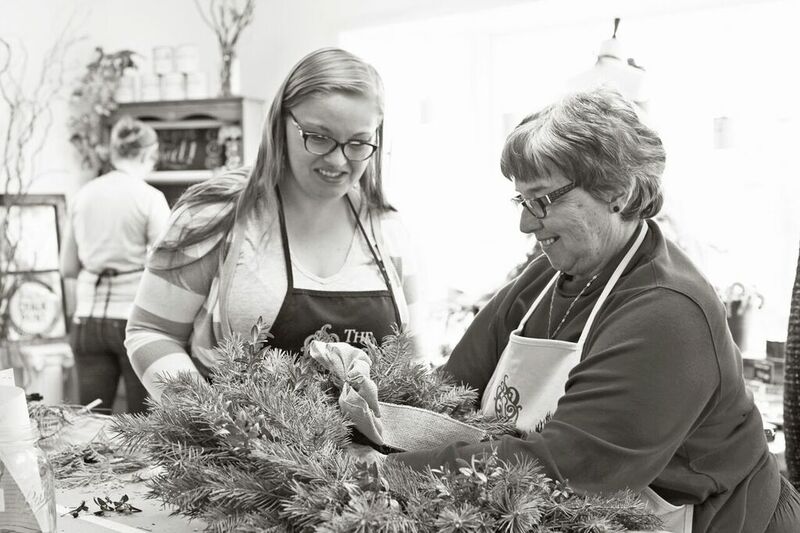 It really was a team-like atmosphere with even rookies helping the expert designers as the oohs and aahs filled the room boosting more confidence as wreaths were placed on the door wall for all to gaze. To those who stepped foot in the door saying “I’m not creative” (there were more than just a few!) just think of the wonderful live arrangement you created with your own personal touch! 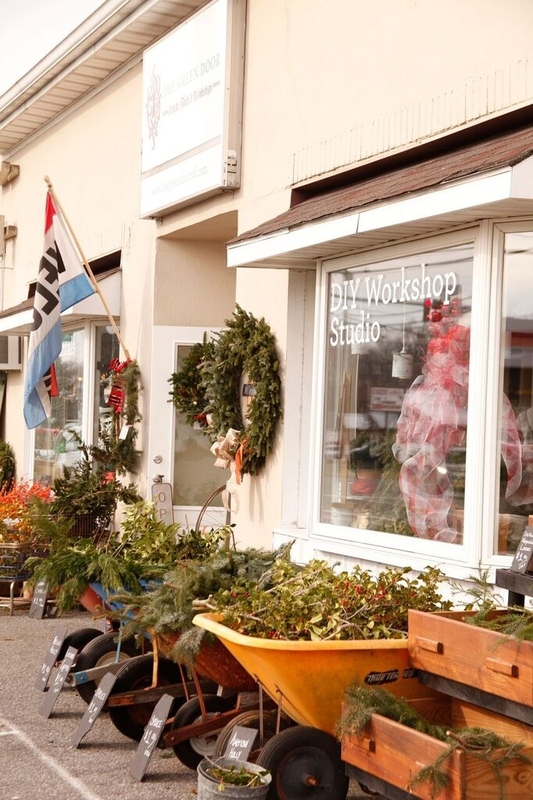 Way to go Green Door 2015 Live Wreath Makers, way to go! We will see you for another two full weekends in 2016!